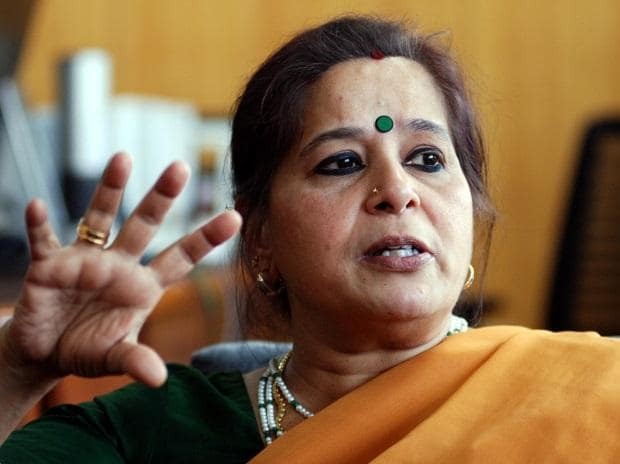 Former Punjab National Bank (PNB) managing director and CEO Usha Ananthasubramanian has approached the NCLAT against the NCLT Mumbai-bench order, which made her a respondent in the PNB-Nirav Modi fraud case. A two-member bench headed by Chairman Justice S J Mukhopadhaya issued notice to the Ministry of the Corporate Affairs over her plea. Earlier on January 31, 2019, the Mumbai bench of the National Company Law Tribunal (NCLT) had made her a party in the ongoing matter of PNB-Nirav Modi fraud case by accepting the Centre's request to implead her. The appellate tribunal had directed to list the matter on April 29 for next hearing. In its application before the Mumbai NCLT, the MCA had said that the impleadment of the additional respondents, including Usha Ananthasubramanian, was essential because they all are necessary and proper parties.